If you don't see a particular service listed below, please contact me to assist you. Please contact me for a quote on my services. Each client and/or project is unique--let's talk so we can see how to best maximize my time and your dollars. Services provided on an hourly, project, and contractual (retainer) basis. All documents will be proofed and spell-checked; however, final proofing is your responsibility. Still not sure this is for you? 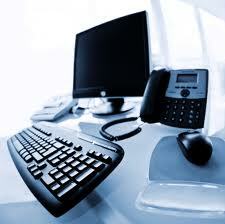 It's important that you feel comfortable and confident when hiring a virtual assistant. In order to help you reach that level of confidence, I offer a complimentary one hour free consultation to discuss how I may be of assistance to you while you develop your business. I will utilize this time to get to know your business. Contact me today to schedule your free consultation.